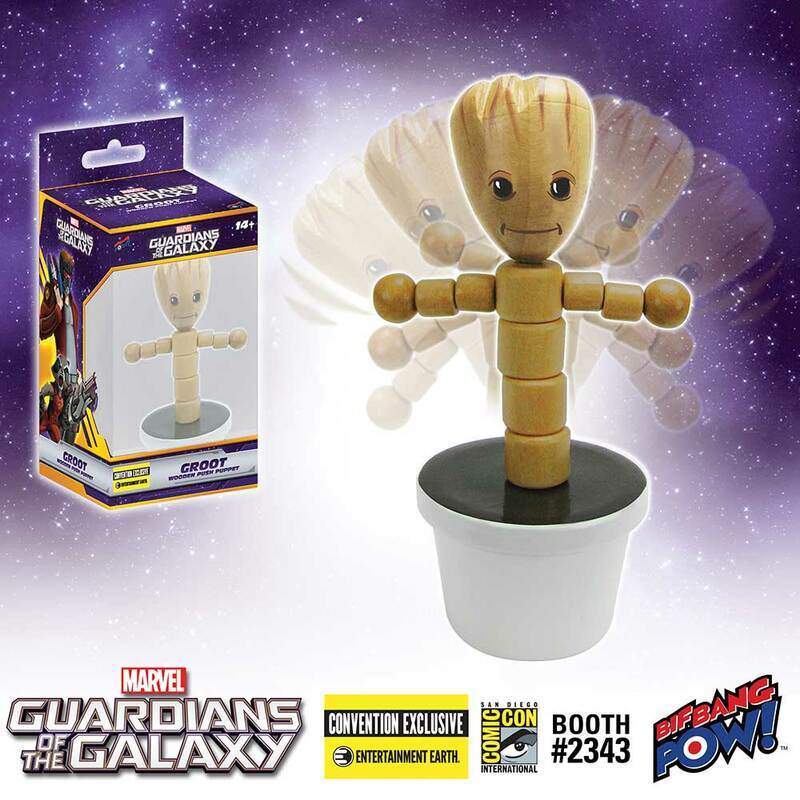 Get ready to dance the night away with the adorable Groot 4-Inch Wooden Push Puppet - Convention Exclusive from Bif Bang Pow!. Measuring a little more than 4-inches tall, this potted Groot wooden push puppet features hand-painting along with some decal elements. Designed similarly to vintage-styled push puppets, you can move the push puppet in various directions depending on how you push the hidden button on the bottom of the pot - providing hours of wobbly fun. And well, because it's only right… this charming collectible celebrating the extraterrestrial, sentient tree-like creature is crafted out of solid wood, of course! 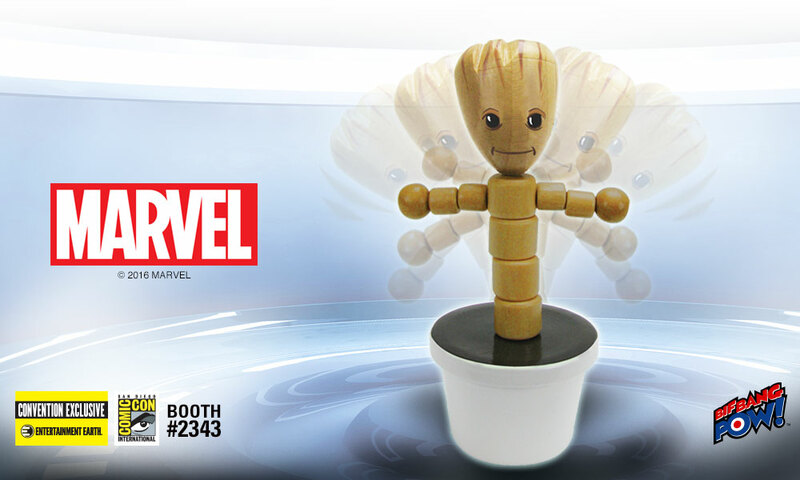 With a limited production run of only 2400 pieces, the lively and loveable Groot will be movin' and groovin' into the heart of your collection for the first time at San Diego Comic-Con 2016. 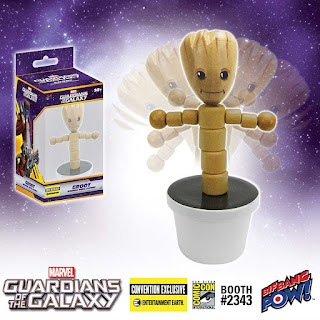 Plus as an Entertainment Earth Convention Exclusive, each limited edition Groot wooden push puppet is individually numbered with a holographic sticker. Ages 14 and up.